Here's an example of Syd Carpenter's work, illustrating how she creates sculptural pieces representing landscapes and/or interiors. "I was challenged to adopt another way of developing work." "This was a new way of working for me, and hearing Syd talk about how she takes available information and translates it into her work process was exciting." What inspired or delighted you? 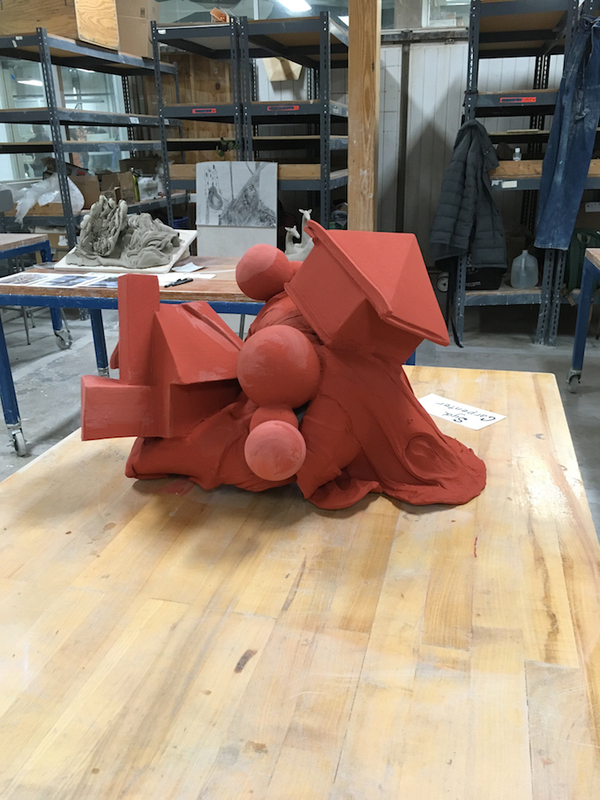 "The freedom to work intuitively and spontaneously...pushing my comfort zone in clay sculpture...working from the concept of a personal map and abstracting those concepts into 3D sculpture..."
"Tim simplified so many processes." "I was delighted to learn a bit about metal chasing and was thrilled that Tim was able to give me some guidance about how to continue with that work at home." "The interaction with the faculty and other (very creative) students was inspirational, as always." 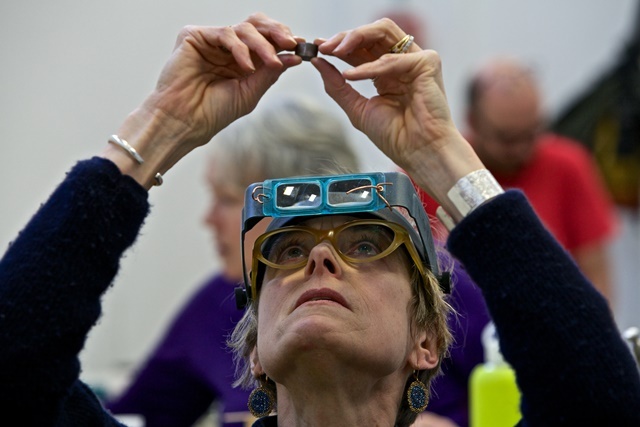 "From rivets, to soldering, to tool making, he made it all seem accessible."